Once you see it, you can’t “un-see” it: the effects of climate change are top stories in the news regularly. The recent devastating storms and flooding along the Gulf Coast and in Southwest Asia as well as the heatwaves, droughts and fires in the western US are clear indicators that climate change is making this planet less hospitable to us, that the costs of ignoring the problem are unmanageable, and that we need to change our thinking fast. Al Gore’s follow up to An Inconvenient Truth (2006) strongly makes the case that change is possible, and is happening, despite the Trump administration’s hostility towards environmental protection and clean energy policies, and the slow pace of transitioning away from fossil fuel use in the US. The film centers on Gore himself: visiting melting sea ice in Greenland, wading through the the flooded streets of Miami, and spreading the the gospel of the science behind climate change through his lectures and training sessions of the Climate Reality Project. A big part of the film shows him trying to cut a deal to persuade India to sign on to the 2016 Paris Climate Accords. The Indian delegate’s position can be summed up as “You Western developed nations have been burning fossil fuels for 150 years. If burning our coal is the cheapest way for us to modernize our economy, how is it fair to ask us to refrain from doing this?”. 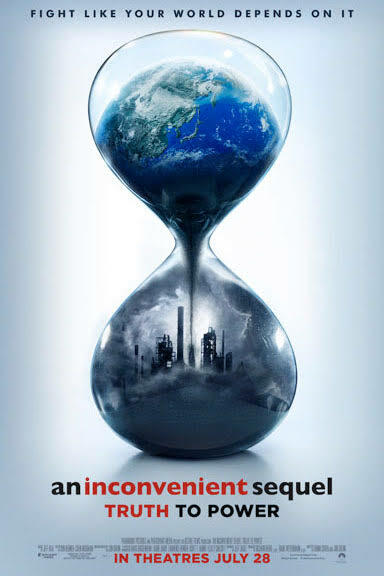 If the earlier movie emphasized the introduction of the science of man-made climate change and the ways in which individuals can change, the sequel focuses on the large scale international treaties and cooperation that are essential to slowing down the worst effects of climate change. The film effectively balances the scariness and hopefulness of our current situation, and here is where I’d like to compare it to what we musicians are facing. The struggles of organized labor belong to a family of successful moral and ethical movements (which overlap with each other). The dominance of Patriarchy, White Supremacy, and Free Market Capitalism spawned a response to it’s unfairness – the Progressive movement. The accomplishments of Women’s Equality, LGBTQ Rights, Civil Rights, Immigrants’ Rights, Organized Labor, and the Environmental movement were all pipe dreams at one time. Their victories (and the ones yet to come) happen when ordinary citizens, like you and I, decide to become active. Being a professional musician myself and speaking for all creative artists, means being clued in to what is happening in society, and looking for ways to contribute. Sharing memes on Facebook is fun, but it’s not going to get us there. Meaningful actions could be creating art with a political message, deciding to be more informed on a topic that is dear to your heart (as climate change is to mine), voting in local elections, getting involved with an activist group, etc. 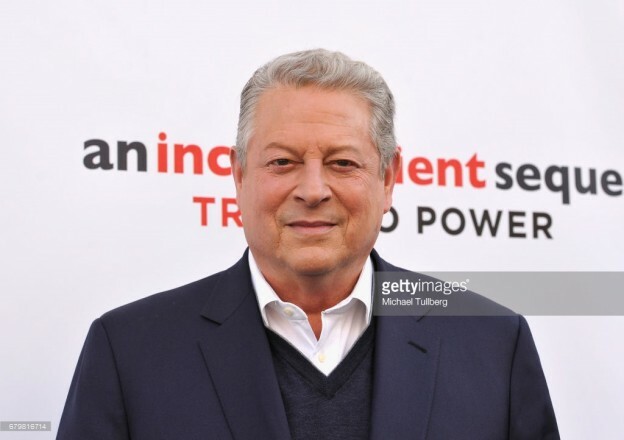 This entry was posted in Movie Reviews and tagged Al Gore, An Inconvenient Sequel - Truth To Power, documentary film, Marc Schmied on September 11, 2017 by Sohrab Saadat Ladjevardi.